PT BNI Securities - BNI Securities is a trsuted and reliable company in Indonesia that is involved in brokerage and underwritter. BNI Securities running business in the field of securities brokerage, fixed income, investment banking, and asset management. BNI Securities is part of large bank owned by the Government of Indonesia, PT Bank Negara Indonesia (Persero) Tbk (BNI Group). At present, 75% of its shares are held by BNI Group, and 25% remaining shares by SBI Securities Japan. 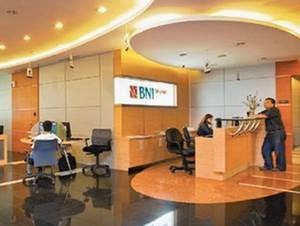 Headquartered in Jakarta, BNI Securities runs its business through 66 outlets spread across Indonesia, including 26 counters and 40 investment galleries. Its head office is registered at Sudirman Plaza Indofood Tower Lt 16 - Jl Jend Sudirman Kav 76-78 Jakarta 12910. BNI Securities also supported 1 subsidiary, namely PT BNI Asset Management. According to BNI Securities Consolidated Financial Statements 2014 as cited by JobsCDC.com, BNI Securities closed 2014 with a remarkable performance achieving a total assets of Rp 683.18 billion and total operating revenue of Rp 144.56 billion, an increase of 47.56% and 8.11% respectively compared to 2013. The Company booked total assets of Rp 462.93 billion and total revenue of Rp 133.71 billion in 2013. Total comprehensive income for the year continue to grow by 35.17% to Rp 20.86 billion from Rp 15.43 billion in 2013. Minimum S1 from all the majors. Minimum GPA score of 3.00 out of 4.00. JobsCDC.com now available on android device. Download now on Google Play here. Please be aware of recruitment fraud. The entire stage of this selection process is free of charge. PT BNI Securities - Fresh Graduate, Experienced Staff BNI Group February 2016 will never ask for fees or upfront payments for any purposes during the recruitment process such as transportation and accommodation.